British Lord Chancellor Edward Thurlow, who served in the 18th century, reputedly said that it is difficult to punish a corporation because there is "no soul to be damned and no body to be kicked". But there is, in fact, a way to punish corporations for their misdeeds: Bar their officers from government work. So why don't we do that? Few outside the legal community are familiar with the concept of "exclusion", which permits many federal agencies - including the United States Securities and Exchange Commission (SEC), Federal Deposit Insurance Corporation (FDIC) and Department of Health and Human Services (HHS) - to temporarily or permanently block corporations that violate their rules from doing business with them. Importantly, it can also be applied to individual corporate officers, such as chief executives and lower-level executives, and is especially effective in the finance and healthcare industries. Since most big banks are federally insured, and many large healthcare firms do business with Medicare or Medicaid, barring an executive from that work can be a professional death sentence. For example, FDIC can bar someone for life from any federally insured bank by demonstrating in an administrative hearing that the person violated federal banking regulations or failed to correct any "unsafe or unsound practice". To exclude a healthcare executive from federal health programmes, HHS can conduct an administrative hearing to show that the executive engaged in fraud. And SEC can bar a financial services executive by filing a civil case in federal court to show that the executive is unfit "to serve as an officer or director" of a public company and to prove that the executive either knew about the improper activity or recklessly ignored it. It is much easier to exclude someone than to convict him of a crime. None of these agencies need to prove their case beyond a reasonable doubt, or convince a jury that an executive knew his company was violating the law. Although executives are entitled to due process and they can appeal against the decisions in federal court, judges largely defer to the agencies' expertise. This single-minded focus on criminal convictions is misguided - too often, corporate fraud goes unpunished. JPMorgan Chase paid US$13 billion (S$18 billion) in 2013 for its role in the mortgage crisis. But what happened to its executives that year? 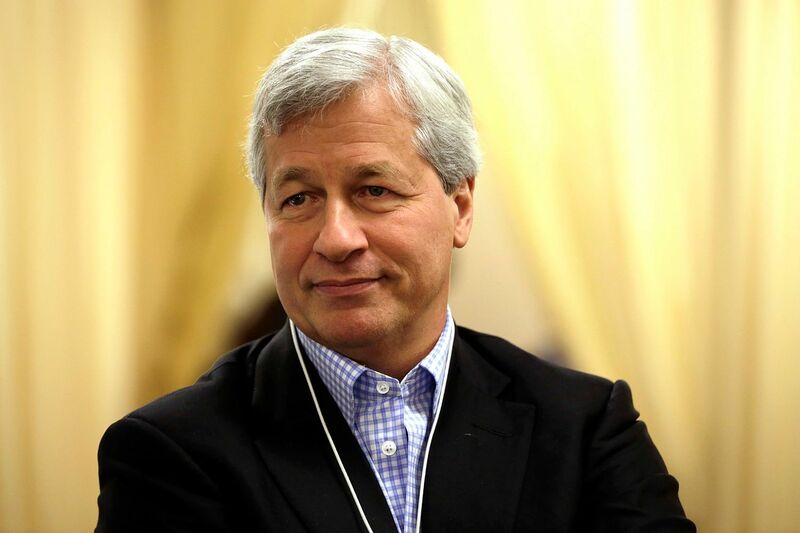 Not one was adequately punished, the stock price rose 28 per cent and CEO Jamie Dimon (photo) got a 74 per cent raise. Despite the availability of such strong medicine, there are only a handful of instances in which senior executives were excluded after their companies committed fraud. Mr Angelo Mozilo, the former CEO of Countrywide Financial, was slapped with a US$67.5 million (S$94 million) fine for his role in the financial crisis, and SEC barred him for life from serving as an officer of any public company because he deliberately misled investors as the mortgage crisis emerged. Over the past 15 years, others have been barred from any federally regulated bank, including the former CEO of the now-defunct American Sterling Bank and an executive of Louisiana's First Guaranty Bank. In addition, the Bear Stearns executives who were acquitted of criminal charges after the financial crisis were later barred from the securities industry for several years. Yet, instead of using these tools, most federal prosecutors focus solely on bringing criminal charges against corporate executives. And if those are unavailable, they look no further. Deputy Attorney-General Sally Yates recently announced that the Justice Department would try to squeeze the names of bad actors out of corporate defendants as a condition of any settlement negotiation. Even so, Justice Department lawyers concede that, in many cases, it is practically impossible to secure criminal convictions. This single-minded focus on criminal convictions is misguided - too often, corporate fraud goes unpunished. JPMorgan Chase paid US$13 billion in 2013 for its role in the mortgage crisis. But what happened to its executives that year? Not one was adequately punished, the stock price rose 28 per cent and CEO Jamie Dimon got a 74 per cent raise. Similarly, fraud against Medicare and Medicaid has been building for more than a decade. From 2000 to 2004, the Hospital Corporation of America (HCA) paid US$1.7 billion to settle charges of fraud against federal health programmes. Pfizer paid US$2.3 billion in 2009 and US$491 million in 2013 to settle charges of fraud and illegal drug marketing. DaVita HealthCare Partners was fined US$389 million last year to settle charges that it paid kickbacks to doctors to refer patients to its clinics. This year, it agreed to pay US$450 million to settle claims that it charged the government for unused drugs. What happened to the leaders of these companies, which paid some of the largest fines in history for defrauding taxpayers? The head of HCA became the governor of Florida. Pfizer's chief retired in 2010 with a "golden parachute" worth US$23 million. And DaVita's CEO remains one of the highest-paid healthcare executives in the nation. We need to use better methods to deter corporate misbehaviour. Exclusion needs to be dusted off, modernised and used more frequently. Criminal remedies will never be a realistic option, except in the most egregious cases. The best way to make sure that the rank and file are turning square corners when dealing with the government is to give them - and their bosses - strong incentives to do the right thing. We no longer punish malefactors by damning their souls. But we need to start kicking their bodies out of the executive suite.